Marketers hope native content creation will seamlessly integrate their messaging with what consumers are already reading and watching on social channels. However, it is easier said than done. According to recent research, more than a third of media professionals worldwide feel that the task of creating quality content is the biggest barrier to native success. Here are a few things to keep in mind when designing your strategy. Native content is a great alternative to display ads. With the rise of social media platforms, native content is one of the best ways for brands to reach online consumers. According to a report by Dedicated Media, native content and advertising generate an 82 percent increase in brand lift. The primary objective of native content is to convey brand messages organically, in a non-intrusive way. Success is based on relevancy, engagement, and shareability. Naturally, there is plenty room for evolution. Don’t expect to see this trend going away any time soon. 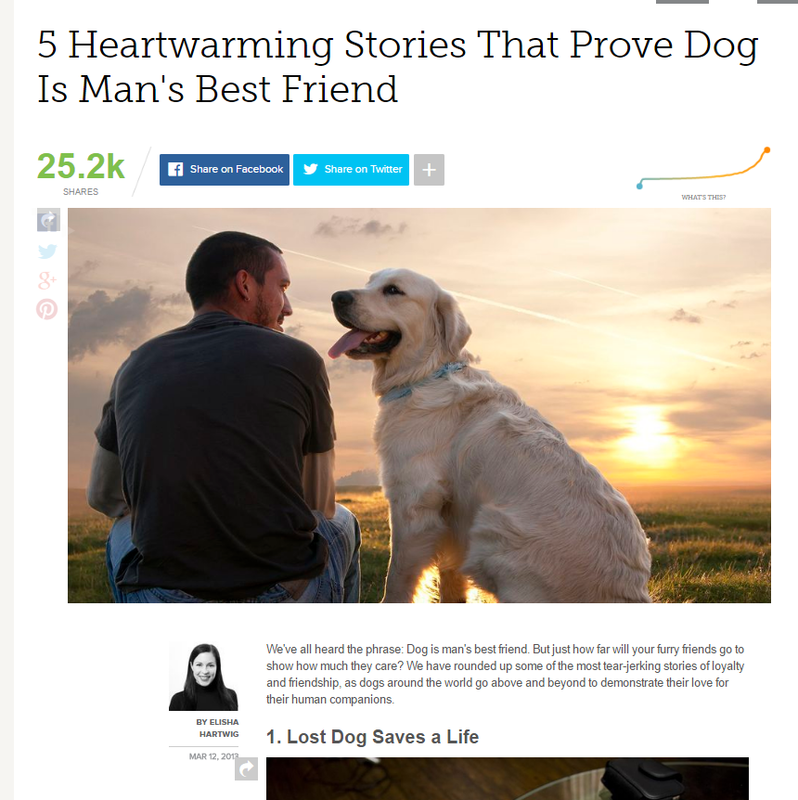 A great example of this concept occurred in a 2013 Mashable article titled “5 Heartwarming Stories That Prove Dog Is Man’s Best Friend,” sponsored by Purina. The title alone is enough to capture any dog lover’s eyes. The article is full of compelling stories that tug at the reader’s heart-strings without the slightest mention of Purina—or dog food, for that matter. The only time the actual brand is mentioned is in the topic listing at the bottom of the piece. 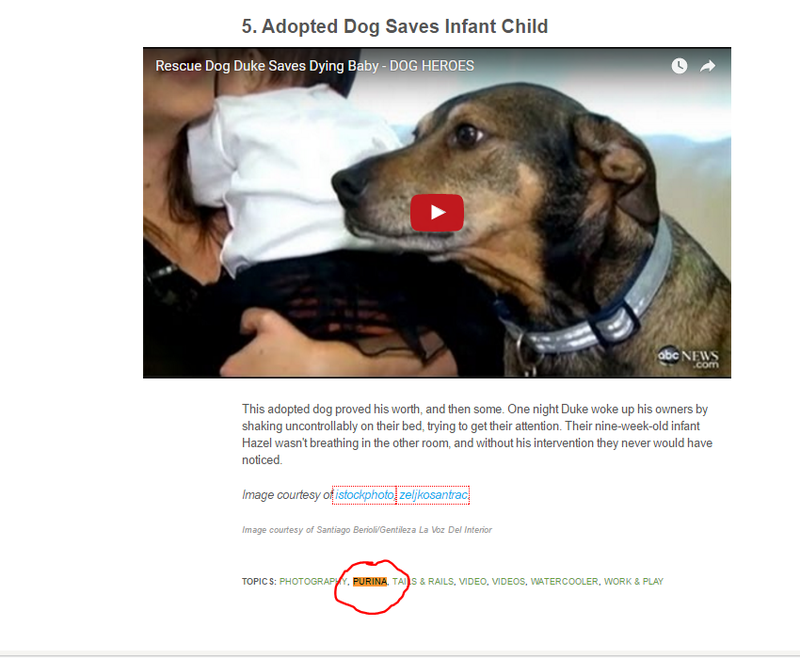 As of today, that article has generated over 25 thousand shares and provided Purina with a considerable amount of traffic. As of today, that article has generated over 25 thousand shares and provided Purina with a considerable amount of traffic. If you want the same results, your message should be in the form of content indirectly related to your brand. For example, let’s say your brand sells winter clothing. Your goal is to bring awareness to the fact that the consumer “can stay warm while looking stylish.” Consider sponsoring an article titled something like “10 Reasons Why Winter Is the Best Season.” Pack the article full of feel-good facts and stories that make the reader want to go outside and build a snowman. Creating content that encourages readers to go out and enjoy the cold weather will inevitably result in the need to bundle up for the conditions—in turn, creating demand for your product. Get to know your target demographic to a tee. Start by looking at publications or websites they frequently visit. When they come to your site, make sure you engage with them at the right time in the right context. 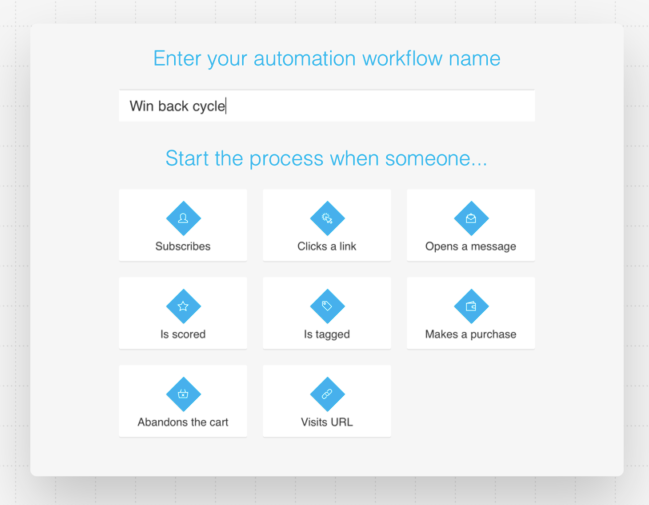 A tool like GetResponse can help by offering automated services that react properly to reader and subscriber actions while creating a compelling conversion path. This will give you a better idea of what types of platforms you want to push your native content on, as well as the type of material you need to produce to reach the audience. In recent years, there has been a massive shift in the way online content is consumed. 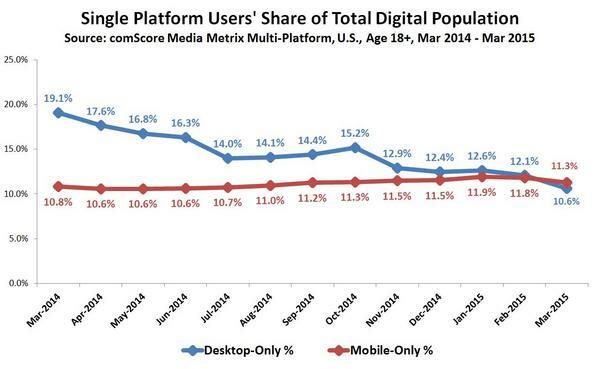 Mobile usage has been on the rise for the better part of the last decade. According to a study conducted by comScore, 2015 was the first year in which users were connected to the internet via mobile device more than desktop computers. Currently, the average person spends 90 minutes per day on their smartphone, a study by mobilestatistics.com found. With a trend like this, it’s hard to imagine a scenario in which desktop browsing makes a serious comeback. As native content is all about incorporating your message where the user’s eyes are looking, creating mobile-geared content must be a top priority in your strategy. UX is vital on mobile devices. Therefore, native content should work to nurture, or even enhance, the user experience. 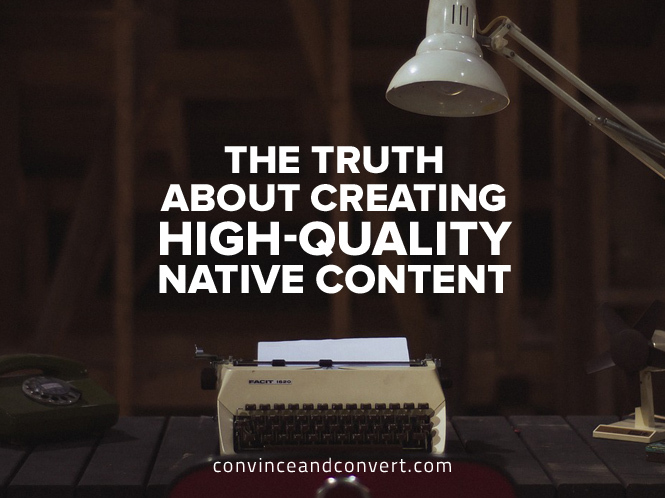 This is perhaps the most important factor in creating quality native content. Material that does not match the standards of the external website will stick out like a sore thumb. 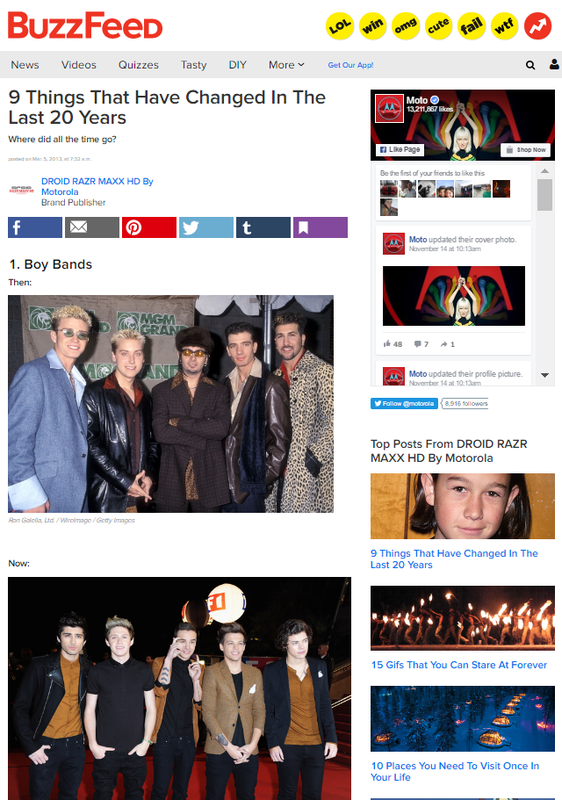 For example, if you want to use Digg as your platform, the native content you produce should be informative, as well as in tune with what is currently trending across the web. Above is a screenshot of the homepage. There is a designated section called “We Heart the 90s.” Right off the bat, you can tell that you are most likely creating content geared towards millennials or older. From the feature story headline and the intro paragraph, the tone seems to be informational with a hint of wittiness. If you need some help finding the perfect platform, Outbrain is a tool that recommends your content across the web to find the perfect fit that will capture the eyes of the right audience. Think of your native content as a chameleon. It should blend into the chosen platform impeccably as it conveys a thought-provoking, informative message. The ability to think visually is critical in creating native content that sells. A study by the University of Minnesota found that humans process images 60,000 times faster than text. While compelling copy is important, you should always incorporate a healthy amount of imagery to supplement. However, when you are including images or videos, tread lightly. Visual effects cannot come off as a blatant product promotion. This defeats the purpose of native content and will most likely turn the viewers off. Positioning visuals should be done strategically to naturally fit into the platform and its content. One of the topics the piece covers is the evolution of cell phones. This section might be the most compelling part of the entire article. Think how different cell phones were just five years ago, not to mention twenty! 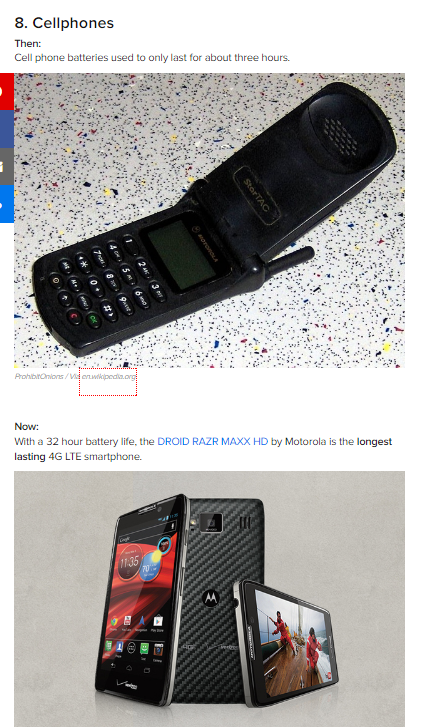 The piece brilliantly places a harmless Motorola brand mention with a compelling image of the latest device. It fits in perfectly and doesn’t take away from the material at all—in fact, some might say it adds to the storytelling. Great native content is all about making profound connections that intrigue the reader. Creating native content will always be a work in progress. Tracking and evaluating your results is very important in seeing growth. 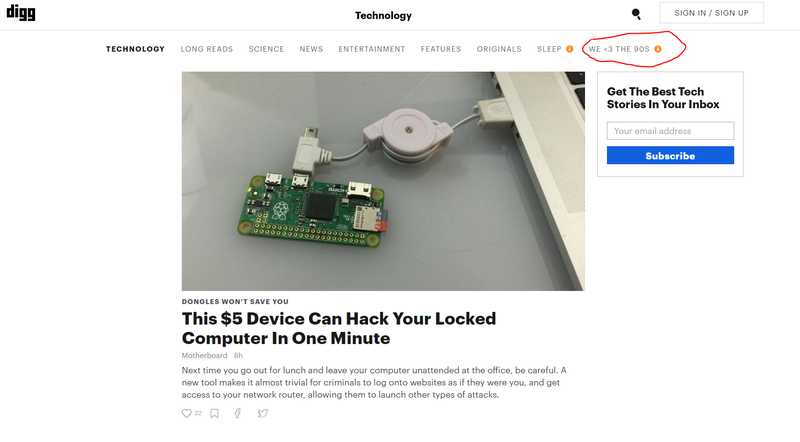 Track everything from views and headline strength to impressions and click-through rate. Getting into a successful pattern can require a good deal of collaboration with the publisher of your chosen platform. As stated earlier, the demand for quality native content is growing. Therefore, publishers are free to become stricter with their policies and requirements. Don’t put all your eggs in one basket. Try out several different publications to find one that melds well with your brand message and content creation style. Each one will yield different results and help you find your niche. Native content is showing great potential in the digital landscape. Creating quality material is a great opportunity to help your brand stand out while fitting in. It is by no means a one-person job. Creativity tends to flow better in teams. Keep your mission statement close by, and brainstorm innovative ways to deliver it. Good Luck!